Busy, Busy, Busy at the Show! 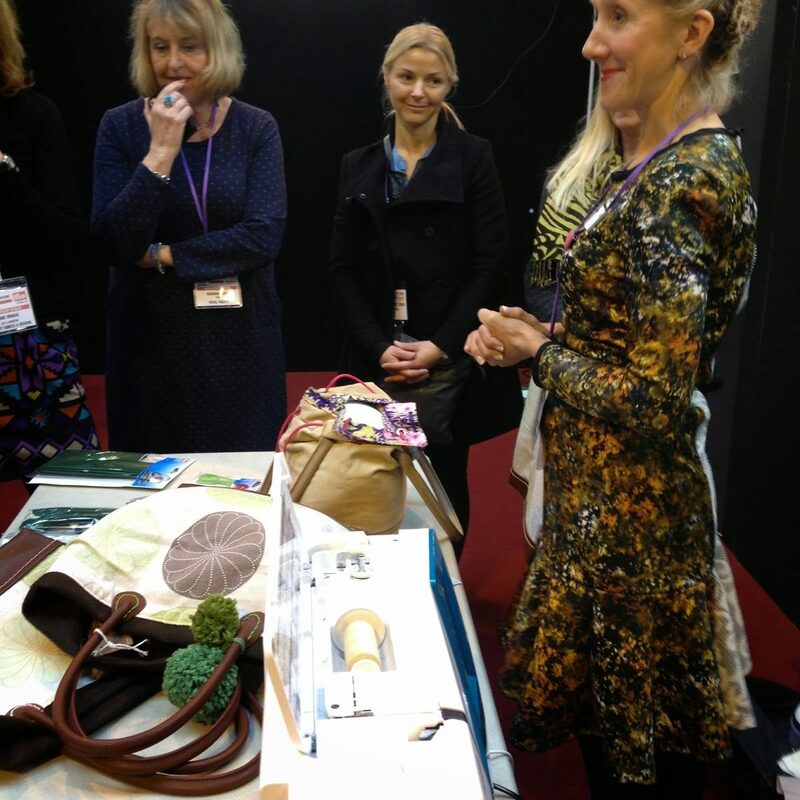 Last weekend I was busy, busy bee at the ICHF Trade Show. 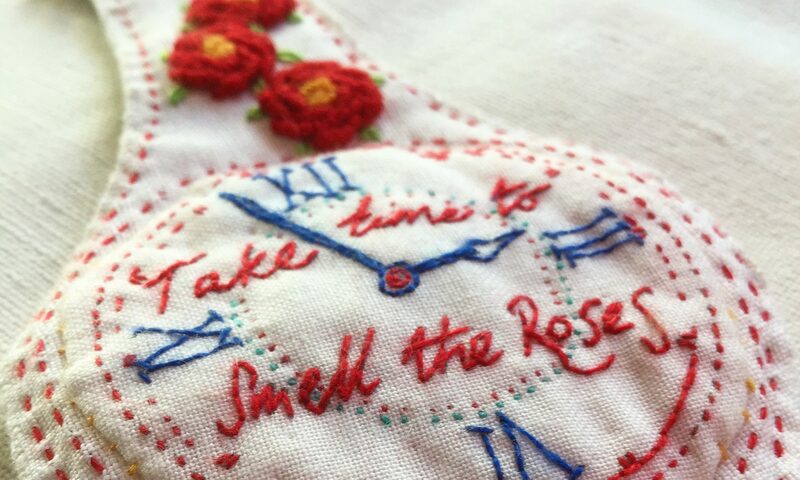 It’s a super place to find the latest products to the craft world and also meet lots of artists! 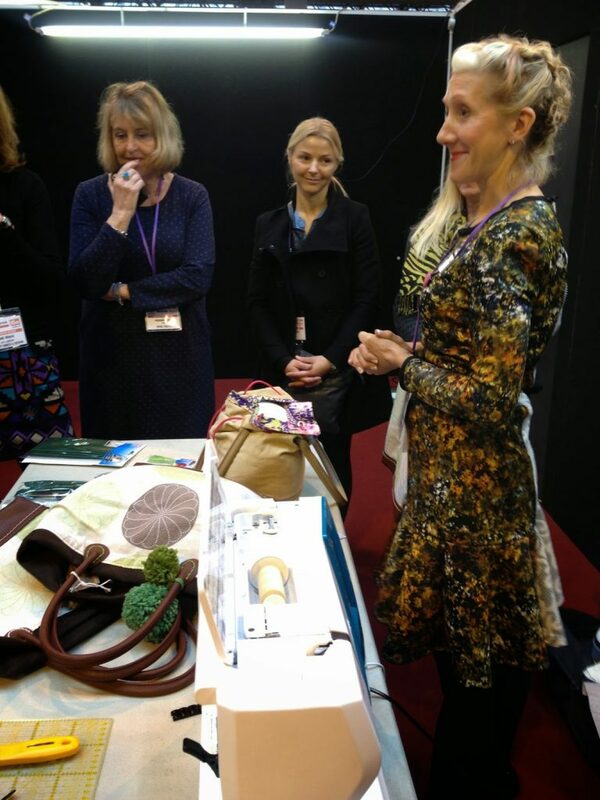 Tamara Melvin of the Great British Sewing Bee, was demonstrating some yummy goodies for Prym. She was a delight to talk to and was wearing one of her own stunning creations. I explained that I was a bit scared of dressmaking. She was very supportive and encouraged me to have a go! 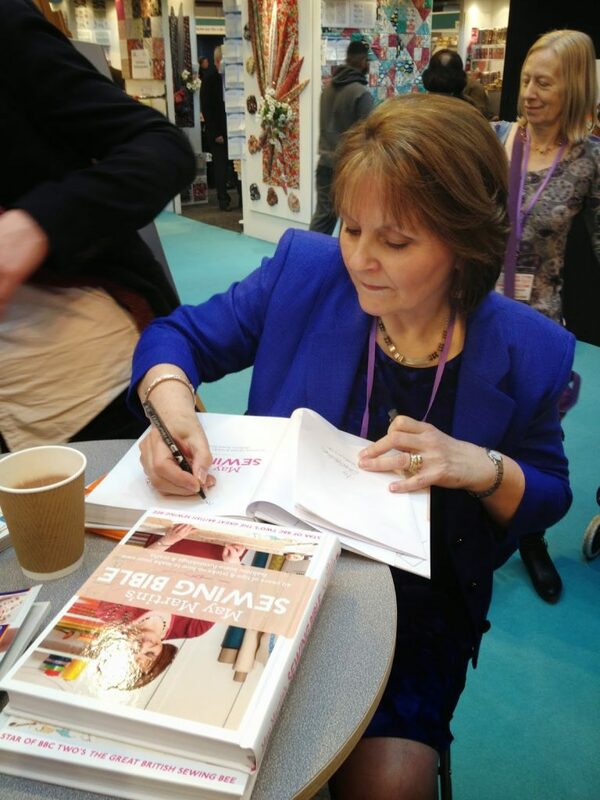 May Martin, a judge on the Great British Sewing Bee signed a copy of her book for me. Published by Search Press. 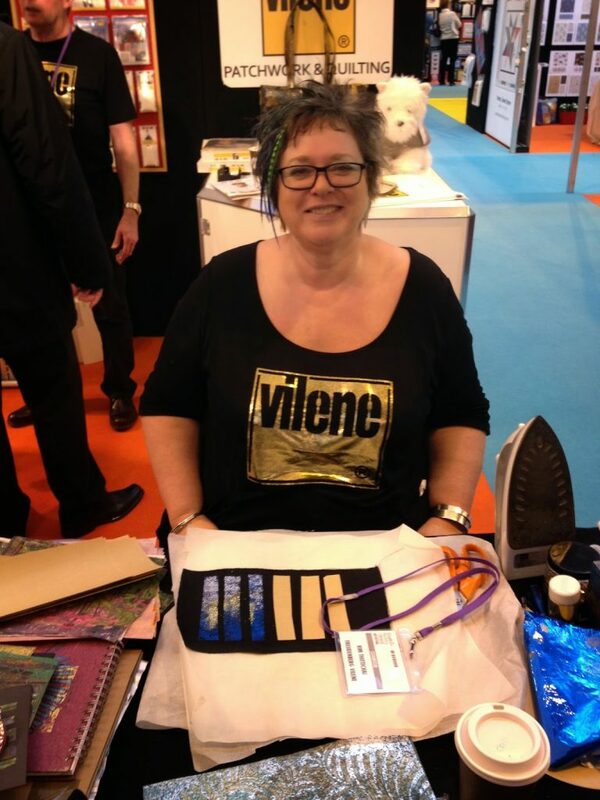 Kim Thittichai was demonstrating the latest products from Vilene – hot iron and foils very close by. 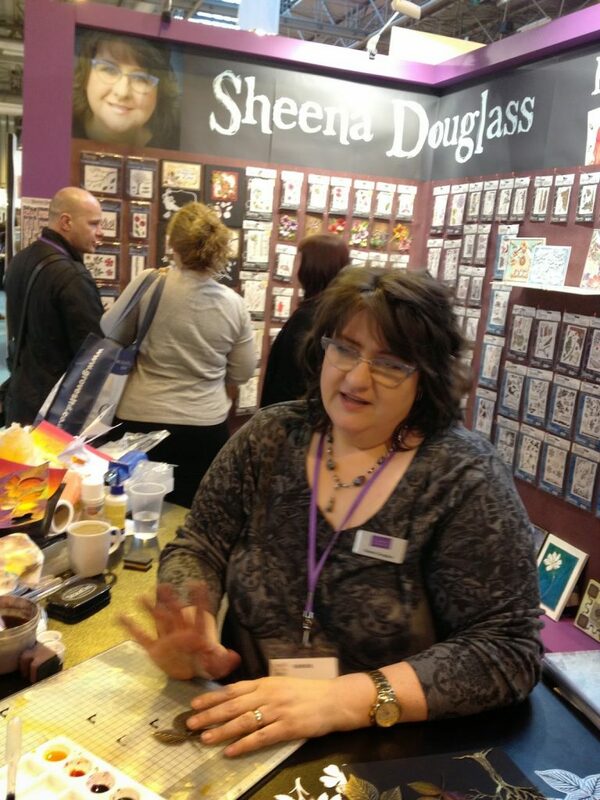 On the last day I met Sheena Douglass, a fantastic lady who happily shared her paper crafting skills and techniques with the crowd. Looks as though you had quite a star-studded day! Oh yes – a fabulous day!